We have finally had two weeks of much-needed rain.Our water barrels are over flowing. Today was the second time in two weeks that we have had a glint of sun. 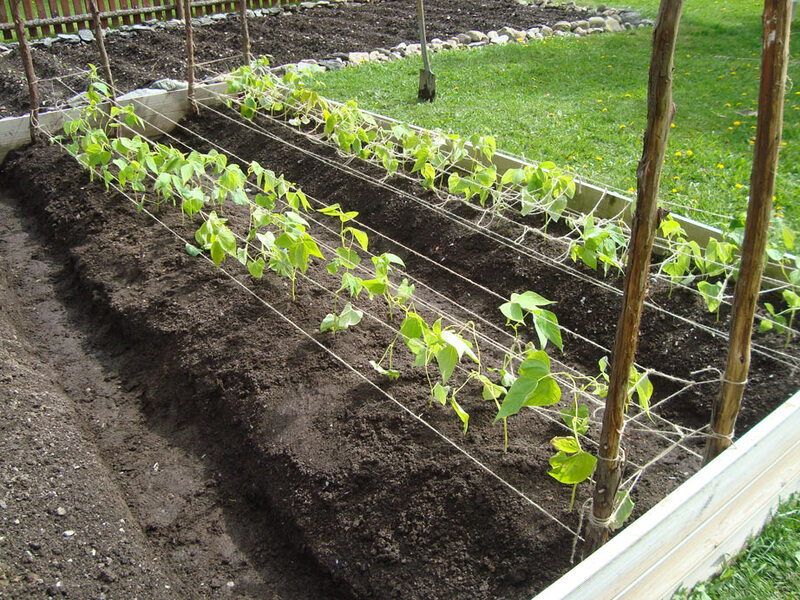 We hurried out and planted the second batch of borlotti beans. 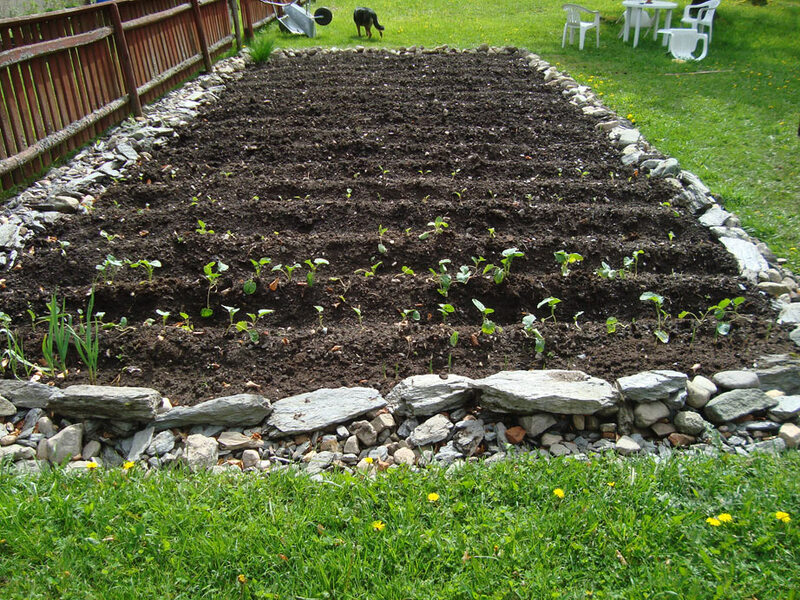 We have planted garlic, cabbage, broccoli and Cauliflower a little over two weeks ago. You can see it in the picture below. We have celery coming up in the green house. My strawberries have buds on them already. We can now begin to harden off the first batch of corn in the green house. 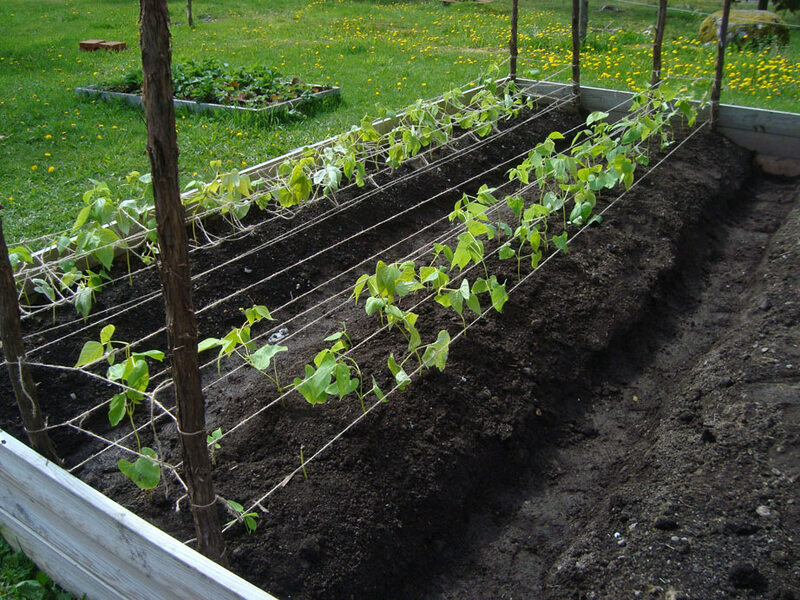 The borlotti beans are planted in the veggie bed, which freed up space in the greenhouse for the corn. The plan is to have the corn planted outside by this weekend. That is if the weather cooperates with us.